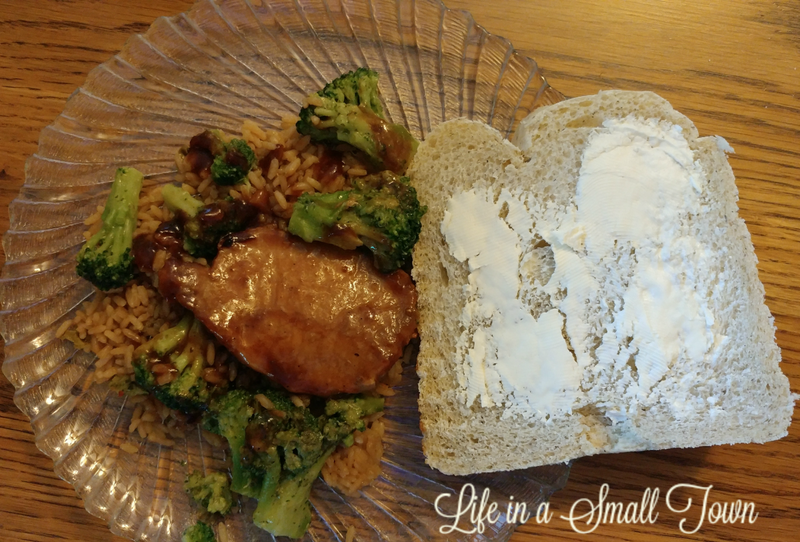 I haven’t written a cooking post lately, so I thought I would take just a minute and share what is becoming a favorite at our house. I found a recipe for Chinese Pork Chops at Six Sisters' Stuff. In the crockpot, all ready to go! 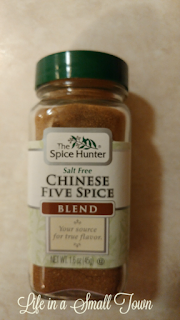 If you've never tried Chinese Five Spice, I would highly suggest it. I mentioned it in a post back in 2012 after I made Five-Spiced Steak Strips. 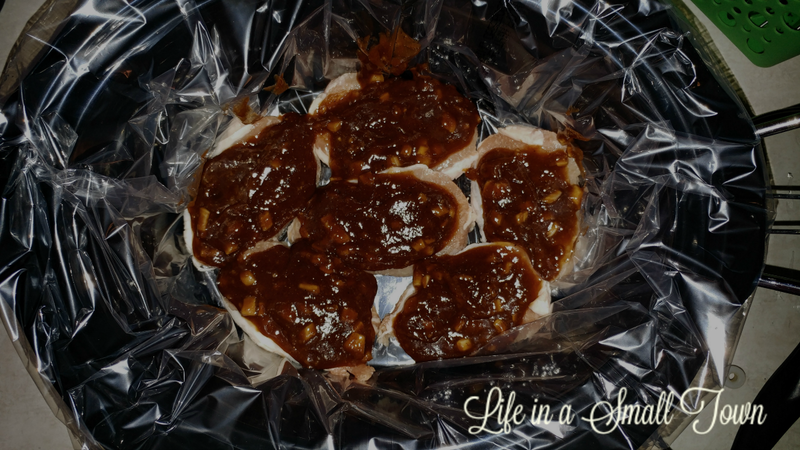 I also use it to make Sweet, Sticky, Spicy Chicken; I just substitute the 5 spice blend for the spices in the recipe. Not only does it add a lot of flavor, but it smells pretty good, too. I don't measure it in the recipes; I just add as much as I want. 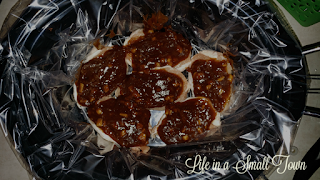 For the pork chops, I put the chops in the bottom of the crockpot, spoon the sauce mixture on top, and set on low for 4 hours. CH splurged and bought a crockpot that will switch over to keep the food warm after the food has cooked. Well worth it! I used to have a breadmaker, but I got rid of it because I didn't use it for many years. I had been thinking about getting another one, and I followed through a couple of weeks ago. I made rolls for Easter, pizza crust (that I left in the machine too long...now I know when the dough cycle is done! 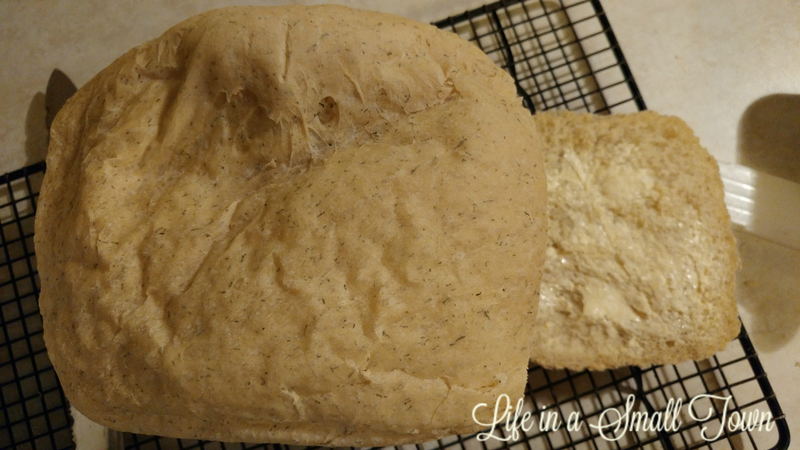 ), and the other evening I made Dill Bread. I have to say, it was delicious! It doesn't have a strong dill taste, which is probably a good thing. I can't wait to try Kolaches! I never know if my dough is going to rise like it should; with the breadmaker to make my dough, it should do just fine. If you try the Chinese 5 Spice, let me know what meat you tried it with, and how you like it! I have Chinese 5 Spice in the cupboard but never thought to try it in other recipes. Now I'll be playing with it!! Yum. I still have a bread machine and plan to get it out soon and start using it again. It's so easy and the bread is so good! Thanks for the inspiration today! Yum! I want to hear about the Kolaches.